At Witney Trophy Centre, we sell superb awards & personalised unique gifts made to order, we also engrave objects on site in our shop in Witney Oxfordshire. We have a great range of items in stock including pet tags, name plates, pens, anniversary gifts and of course trophies & presentation items, which can all be engraved or personalised. We also have many special offers and sale items in store and many more to choose from in our catalogues. 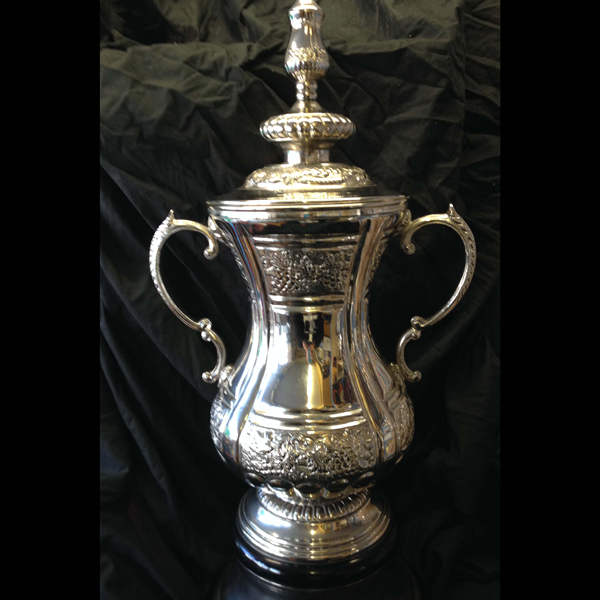 Witney Trophy Centre will have a trophy or cup appropriate for your sports club or award ceremony. Engraving is done on site at our Witney Shop. We pride ourselves in our workmanship whether you have a bulk order or single item order. Contact Us to order your trophy or award. Full sized FA Cup replica on display in our store.